Philadelphia Flyers right wing Wayne Simmonds . The 2019 NHL Trade Deadline is now less than 24 hours away, and that could mean changes are in short order for the Philadelphia Flyers. Sitting seven points out of the playoffs with just 20 games to go, the Flyers are expected to be sellers, if anything. And the big name being thrown out there for the Orange and Black is veteran forward Wayne Simmonds, who very well played his last game with the team on Saturday after spending eight seasons with Philly. What could the Flyers get back in exchange for Simmonds, who seems to have no shortage of suitors? Who might those suitors be? And what other players could general manager Chuck Fletcher decide to move ahead of Monday's 3 p.m. deadline? After a few trades were made last week, Simmonds has climbed TSN's Trade Bait chart and now sits at No. 2 behind Ottawa's Matt Stone. According to former Flyers beat writer Frank Seravalli, now a columnist for TSN, the Flyers are more than likely going to be dealing Simmonds before the deadline, and given the number of teams reportedly in the market for a player of his type, could get a pretty nice return. Two things could keep Simmonds in Philadelphia: a last-minute tug at the heartstrings by Fletcher to forego free agency with a team-friendly deal, or trade offers that only net secondary assets in return. In that case, Fletcher has vowed to keep Simmonds for the final push. But the belief is that Simmonds, even with a less productive 16-goal season and recent injury history, could still bring back a conditional first-round pick and a prospect. The Tampa Bay Lightning were one of the first teams to contact Fletcher about Simmonds in January. He would add bite to a stacked Lightning team that many believe got pushed around by the heavier Capitals in last year’s Eastern Conference Final. There are said to be more than a half a dozen suitors for Simmonds, including Peter Laviolette and the Nashville Predators — not to mention Eastern Conference teams like the aforementioned Lightning, as well as the Bruins and Maple Leafs. Now, it appears Simmonds’ potential suitors are coming into focus. 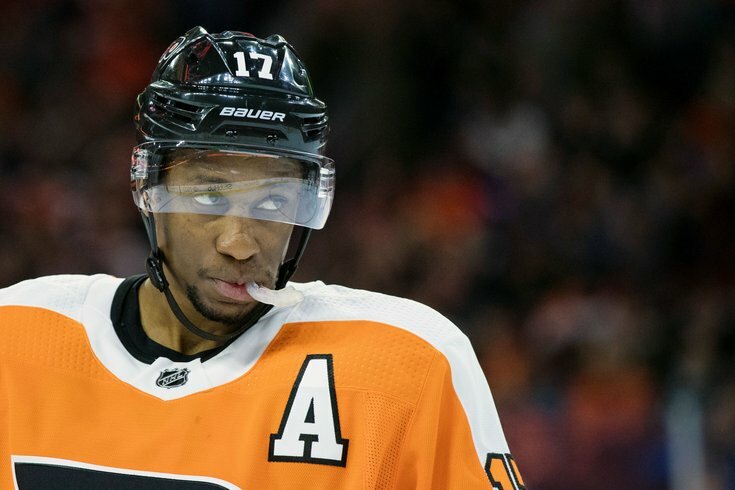 Simmonds has been the name everyone's been talking about, but could there be other Flyers dealt before Monday's deadline passes? After all, Fletcher did say last month that the only untouchable player was captain Claude Giroux. There’s a lot of smoke surrounding defenseman Shayne Gostisbehere right now. TSN analyst Bob McKenzie told a Montreal radio station last month that Ghost could be moved if the price is right. There’s a handful of teams looking to improve their power play and he can certainly add that element.